Don’t sleep on this workplace trend: the company “nap room” has emerged as an increasingly popular perk. A surprisingly diverse list of companies lets employees sleep on the job, including Google, PricewaterhouseCoopers, Zappos, the Huffington Post and even ice cream giant Ben & Jerry’s. Can employees get their forty winks and still put in a productive 40 hours? Below we’ll dive into the perk’s benefits and how you can draft the office napping policy of your dreams. You know the drill: early to bed and early to rise, makes an employee healthy, wealthy, and wise. Getting a good night’s sleep is critical to your health. 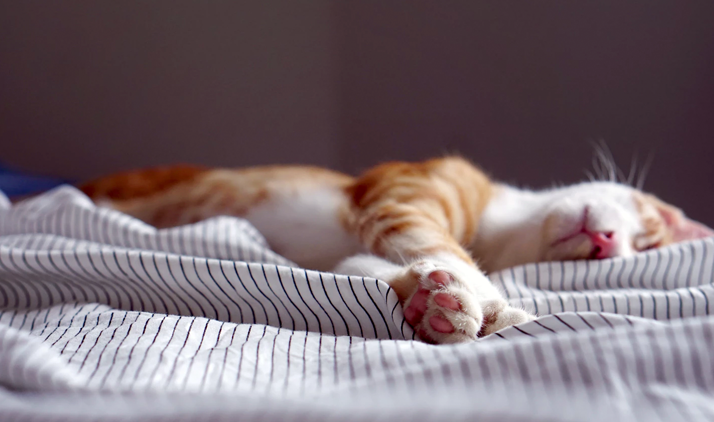 Research shows that napping is just as important. Presidents, philosophers, and artists swear by the occasional nap. Salvador Dali famously used to take “micro-naps,” falling asleep with a key in his hands and immediately waking once it dropped to the floor. There might be some method to the madness, as NASA has found that naps improved pilots’ performance by 34 percent and awareness by 100 percent. Naps also stimulate right-brain activity, the side associated with creative thought and memory. Keep in mind that not all siestas are created equal. The Mayo Clinic recommends taking naps no longer than 10-30 minutes, and limiting them to the early-afternoon hours. Go beyond this and you risk encountering sleep inertia, or the state of weakness and disorientation that immediately follows waking. In other words, it’s the way you might feel on a Monday morning. Companies seem to be waking up to the health benefits of napping, so how does HR go about drafting a policy without turning the workplace into a perpetual slumber party? First, set some ground rules. Schedule permitting, allow employees to take nap breaks up to 30 minutes long. If you’re feeling some trepidation here, cap it to one nap per week. You’ll also want to limit naptime to the early afternoon hours, or between 12:00 PM to 3:00 PM. If you allow breaks earlier than that, you might be encouraging employees to cut back on the amount of regular sleep they get. While the above might be enough for employees working a standard nine-to-five, remember to make exceptions for shift workers. These individuals are the ones most susceptible to sleep disruption and drowsiness. In certain cases, you might actually be required to let these workers get some shut-eye. Nursing unions, for example, will often mandate that hospital management provide nap breaks for night shift workers. And because even naptime is subject to compliance, make sure that any breaks are logged by hourly and nonexempt employees accordingly. As some states explicitly require meal breaks after a certain number of hours worked, you’ll want to make sure staff isn’t putting off lunch for a nap later in the day. For more on this, reference our article covering state and federal lunch break rules. While office cubicles might offer some privacy, they’re hardly ideal places to sneak in a nap. You’ll want to designate a quiet, private place for employees to make use of your policy. Call them what you will (ZZZ-zones, drowsy dens, snore stalls are all options), the rooms should be equipped with an alarm clock and a way to dim the lights. If you have a private space for nursing mothers (as required by federal law), that should remain off-limits for naps. Once you’ve found the ideal nap room, consider what employees will actually rest on. There are a few options available to businesses. If you have money to burn and want to sleep like one of the Jetsons, there are futuristic “nap pods” to consider. If these sleek $13,000 fiberglass chairs aren’t in your budget, a comfortable recliner should be more than up to the task. “Immersion pillows” provide an even more economical alternative. Are Naps Right for Your Company? With unemployment at historic lows, employers are looking for new, novel ways to attract top talent. Promises of office snacks, ping-pong tables, and even onsite acupuncture have been used to win over discerning job candidates. When it comes to the “perks race,” you snooze, you lose. Nap rooms provide one example of how clever policymaking can make these once-outlandish perks possible. Whether you want to implement an unlimited vacation policy or let employees bring pets into the office, get started by reading HR’s Guide to Company Policies. You’ll learn all of the practical and compliance considerations you need to make to make your next policy roll-out a success.